While Nicholas is on stage rehearsing for his role in Narnia, Rachel and I are busy working on making set pieces and props for the show. I have been spending all of my time making winter trees for the background. They are made out of giant pieces of styrofoam. 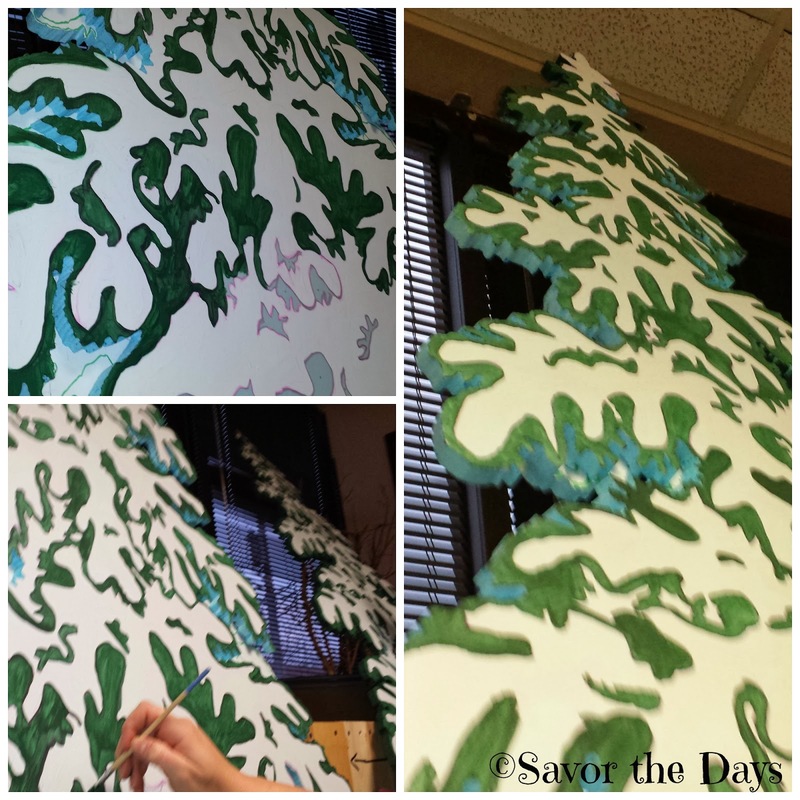 We use a projector to shine the tree image on the foam and we trace the outline on the foam. Then the trees are cut out with a hot foam cutter. There are lots of little nooks and crannies in these trees so all of this takes a while. Then the trees are painted green and white to look like snow covered trees in the forest. When we weren't working on set or prop pieces, we sat in the theater to watch the rehearsals. That is always fun! There are some amazing songs in this production. 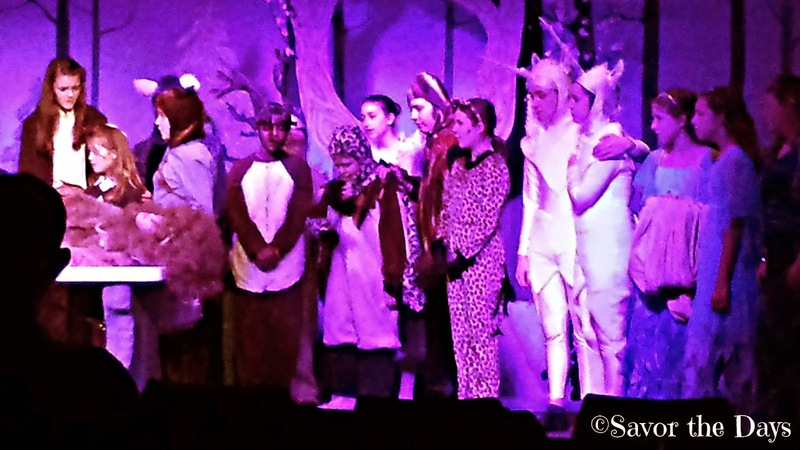 "Deep Magic" is the most impressive on stage but the words to "Days Danced By" really touch my heart as I see how much my children have grown up in what seems like a short period of time. Nicholas finally agreed to let me get this video of him singing part of it. I can't wait to see it all come together this weekend for opening night!